The leaves on numerous trees, spectacular shades of yellow, orange, and red, are whipped up by the seasonal winds into great flickering clouds before finally forming a firey mosaic at our feet. Momijigari or “autumn leaf hunting” has been a popular pastime in Japan since the 8th Century, featuring in Murosaki Shikibu’s famous 11th Century novel Genji Monogatari (The Tale Of Genji) and colouring the pages of numerous collections of poetry. 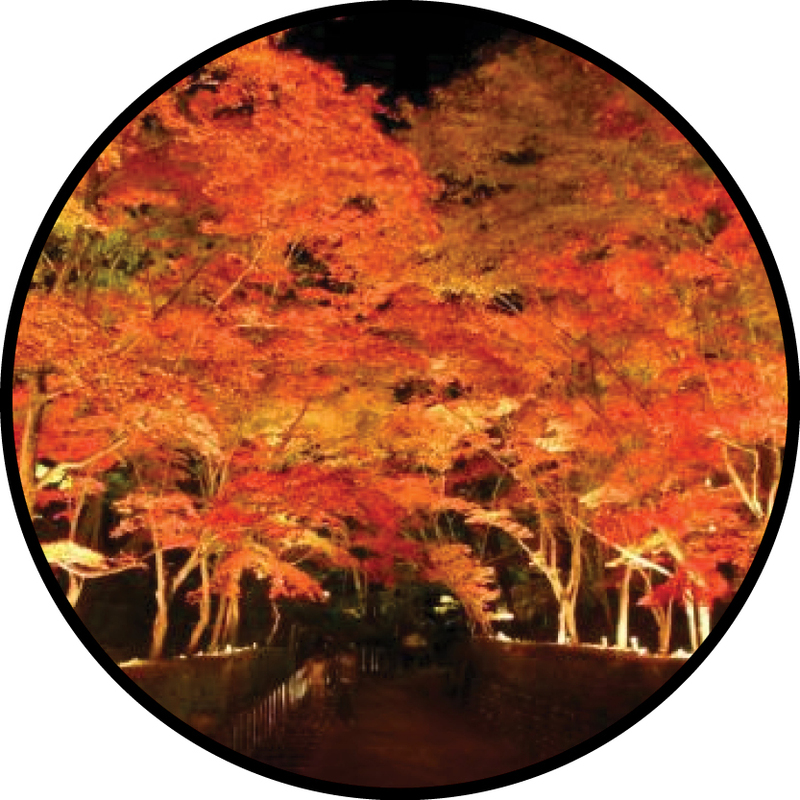 Nowadays both locals and tourists alike take time to seek out and enjoy the changing leaves all over the country. 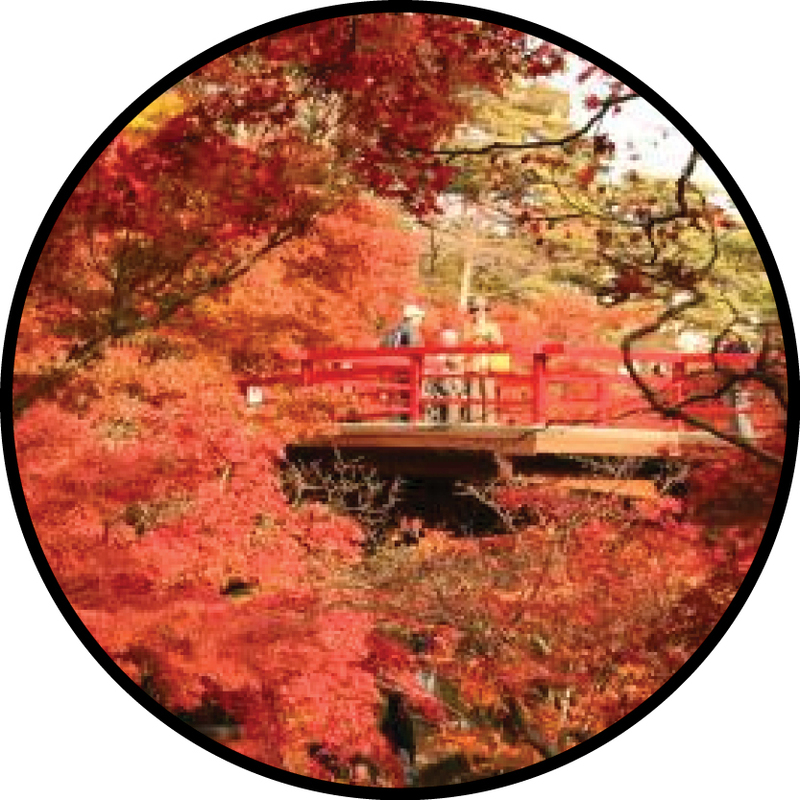 While Niigata Prefecture is famous for being green, our autumn colours are also nothing to sneer at. So where can you go this autumn to see some gloriously vibrant colours? Here are some recommendations from around the prefecture—hopefully there’s one near you! Mt Yahiko is famous all over Niigata (and Japan) for two things: its ancient shrine (which dates back to 711) and the beauty of the mountain hike, especially in autumn. 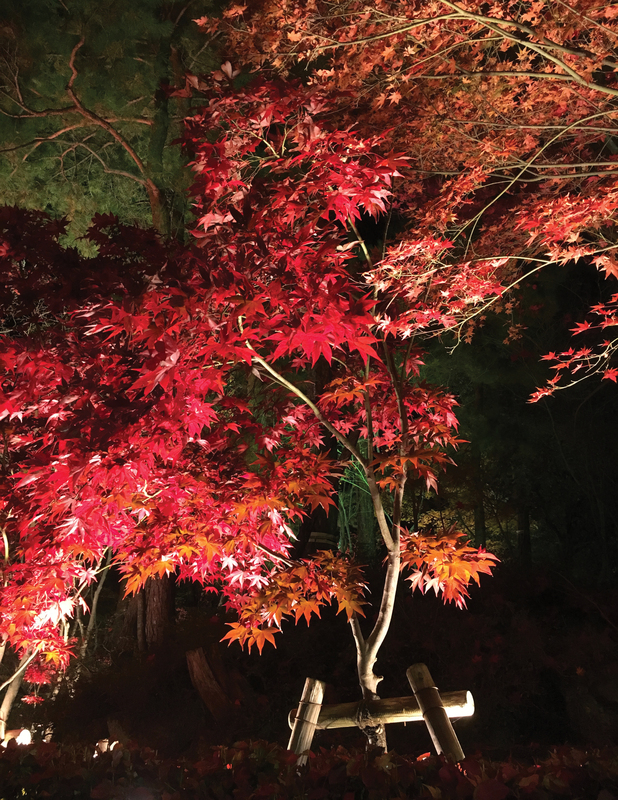 There are many maple trees near the shrine itself, and the 634mt mountain is densely forested. The hike is not too difficult, and takes about 4 hours to complete. If you wish to cheat, there is also a ropeway you can use instead for a fee. Yahiko itself is also known as a little onsen town, and what better than a nice soak after a day of climbing? A personal favourite is Sakura no Yu, which has some amazing rotemburo – outdoor baths. 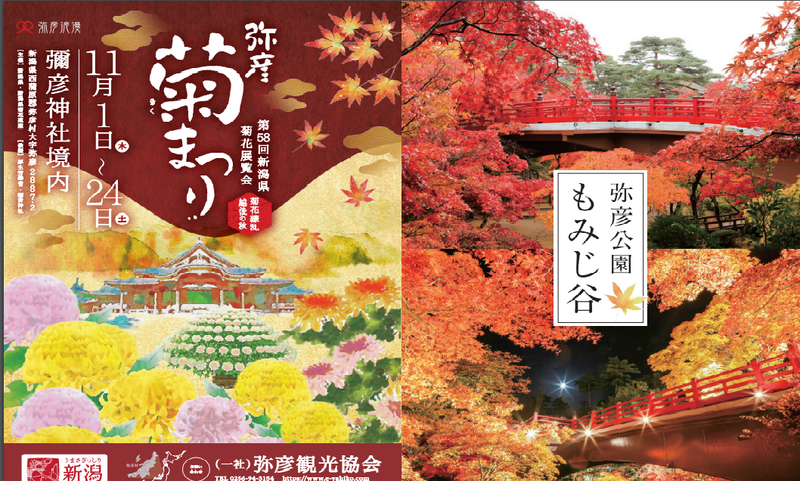 From November 1st until the 24th you can also enjoy beautiful chrysanthemums displays around Yahiko shrine. The shrine, and starting point of the hike, is not too far from Yahiko Station, which is the terminus of the Yahiko Line. While trains are infrequent, it is relatively easy to get to by train from both Nagaoka (760 Yen, change at Higashisanjo) and Niigata City (760 Yen, change at Yoshida). Built in 1918 by the wealthy merchant Kijuro Saito IV, this large historic villa overlooks a traditional Japanese-style garden designed to incorporate the area’s natural sand dunes. green of the pines and the firey reds and yellows of the maple leaves. You can take in the scenery and local history in this wonderful villa garden. 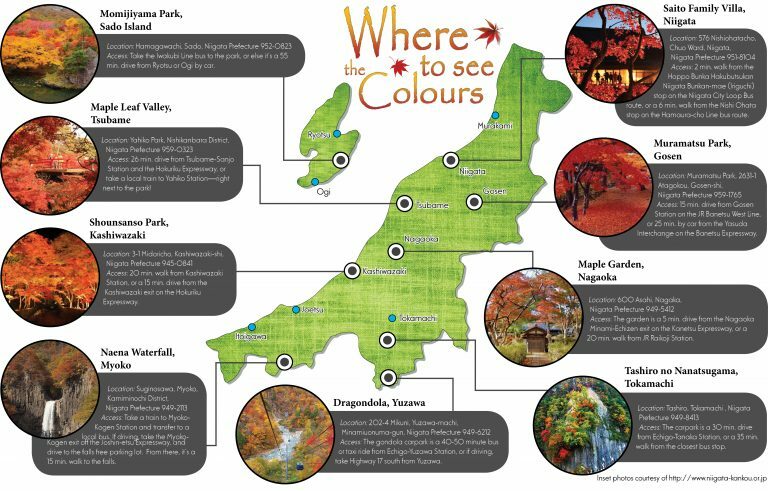 While famous for being one of the 100 best places to see cherry blossoms in Japan (having approximately 3,000 cherry trees), Muramatsu Park it also a lovely place to see autumn colours. 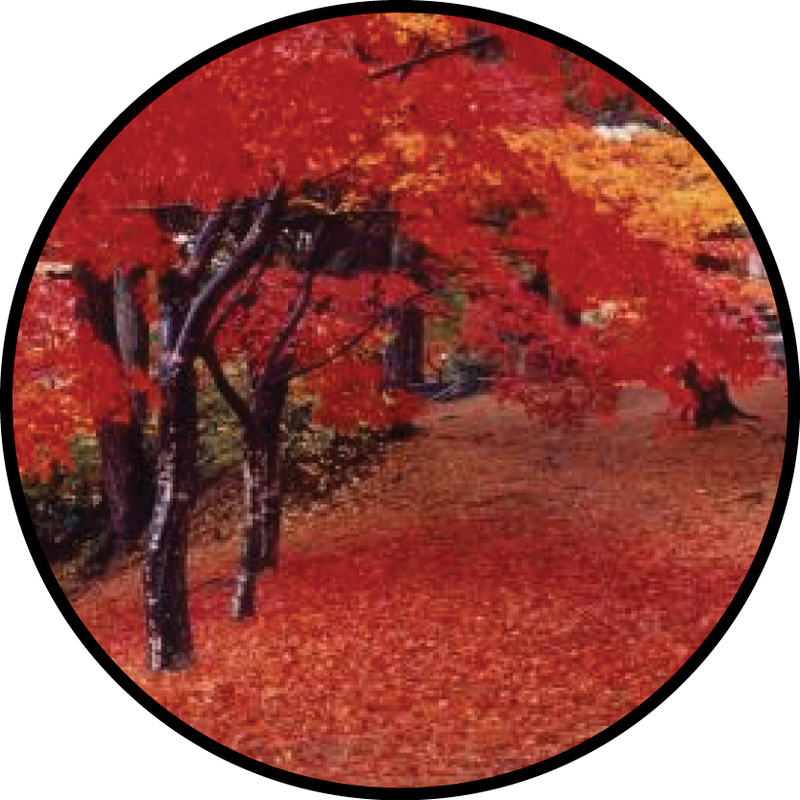 Every October- November stunning maples carpet the walkways with their leaves, enabling you to walk through a beautiful red and yellow world, given depth and texture by the dark tree trunks and branches. No wonder it made No. 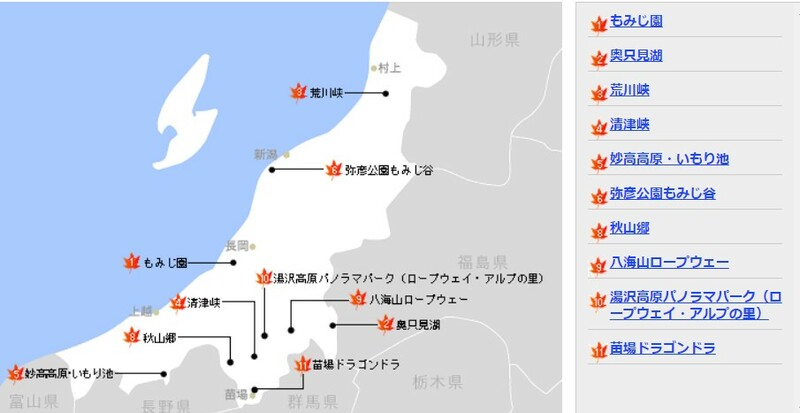 3 on the list of 100 scenic spots in Niigata Prefecture! 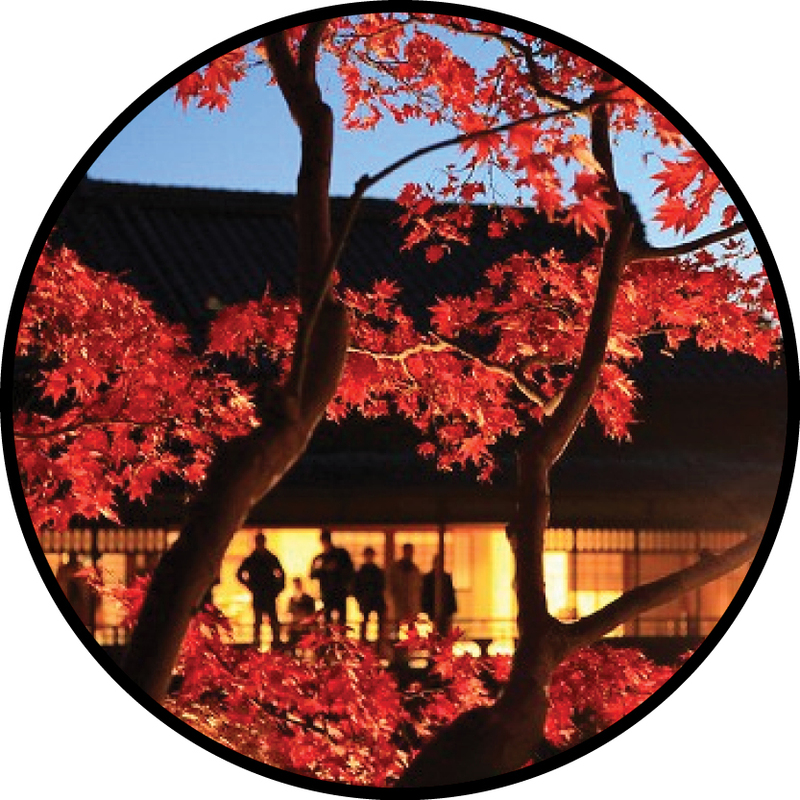 Originally built as the villa garden for the Takahashi family, the Maple Garden is home to 150-200 year old maple trees, mainly of a variety thought to have been transplanted from the Pacific coast of Kyushu. Despite their age (or perhaps because of it) the maples turn astonishing shades of orange and red every autumn, and can be enjoyed lit up at night from the end of October through to late November. Enjoy exploring the winding pathways, ponds, and small bridges, all swathed in rich autumn colours. There’s even a tea house to stop by if you come during the day. By night the park it lit by lanterns making the colours seem even more vibrant in the surrounding darkness. Falling 55m meters, Naenataki, or Naena Falls, is one of the “100 Greatest Waterfalls of Japan”. While many people visit in spring when the melting snow makes this waterfall roar like an oncoming earthquake, it’s also a great spot to view beautiful colours in autumn. While in the area, the nearby Imori Pond with its legend about a giant fish is also worth a look. 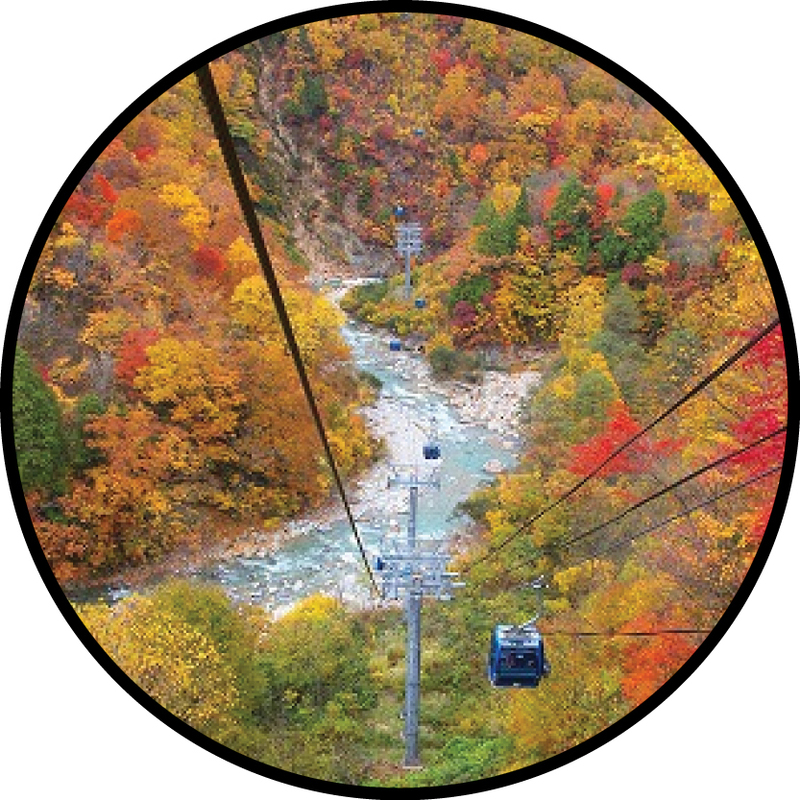 Perhaps one of the most impressive places to see the autumn colours on a grand scale is via Japan’s longest gondola, the Dragondola, between Naeba and Kagura Ski Resorts. Here you can also ride Japan’s highest cable car, the Tashiro Ropeway. On either journey you’re sure to be treated to a spectacular view of a valley dominated by deciduous trees whose autumn colours set the mountains ablaze. The gondola will operate 9am-4pm from October 7 – November 5 and a one-way trip takes 25 min. A round-trip adult ticket via gondola or ropeway (or both; you can walk from one to the other at the top) costs 2,400 yen. What could be more impressive than autumn colours? How about autumn colours clinging to vertical cliffs lining a river valley dotted with waterfalls? 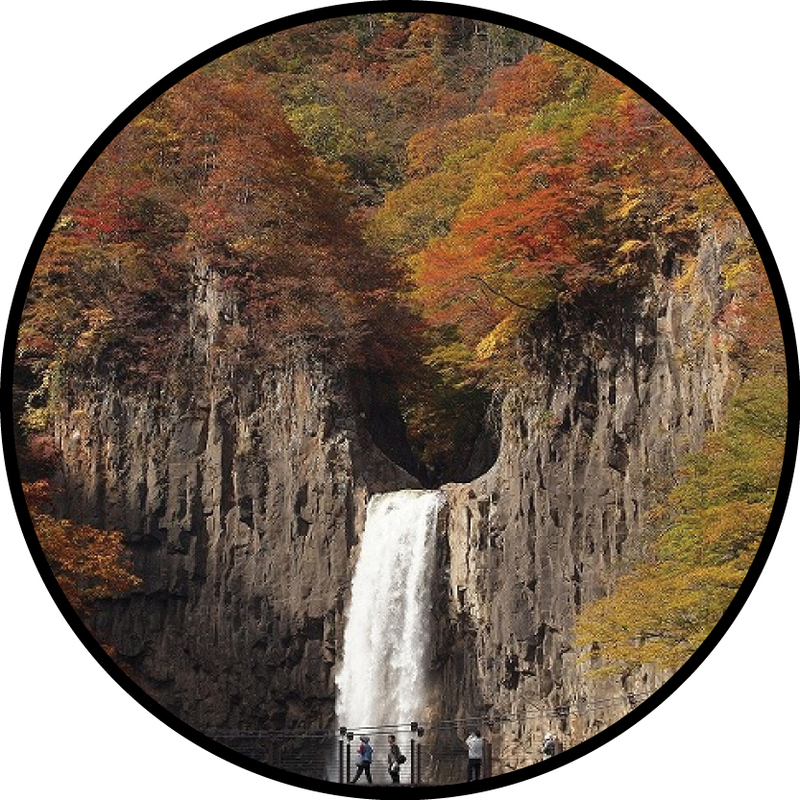 If you’re up for something a little wilder than a manicured park or garden, check out Tashiro no Nanatsugama (Tashiro’s Seven Waterfall Basins). 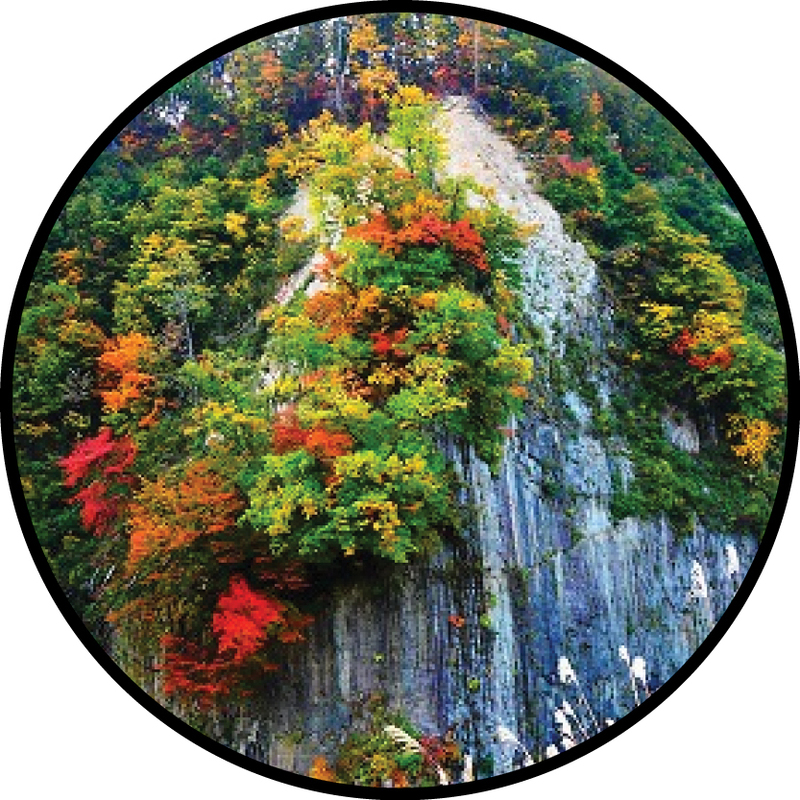 This nationally recognized place of scenic beauty offers a patchwork of autumn colours festooned over vertical cliffs composed of spectacular rocky columns. Walkways get dismantled prior to winter, so be sure to wear good shoes and watch your step.